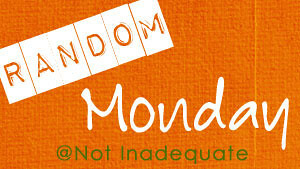 My friend Deb posted a Random Monday post and I started to comment on her blog that today was NOT Monday, but then I looked at the calendar and low and behold…today IS Monday. Holidays you have me totally messed up! ~~ Last week it was Christmas and therefore…GIFTIES!! You know how I love the gifties. Superman got me a laptop. That is why he is Superman. He gets me what I tell him to. ~~ The cold I had weeks and weeks ago has still left me with a cough. I don’t like the cough. ~~ I don’t like Windows 8. It is ridiculous. ~~ I need a mouse for my laptop. My fingers don’t move fast enough to work the mouse pad thingie on a laptop. It makes other people, SUPERMAN, laugh. ~~ The new year is tomorrow. I’m expecting good things. 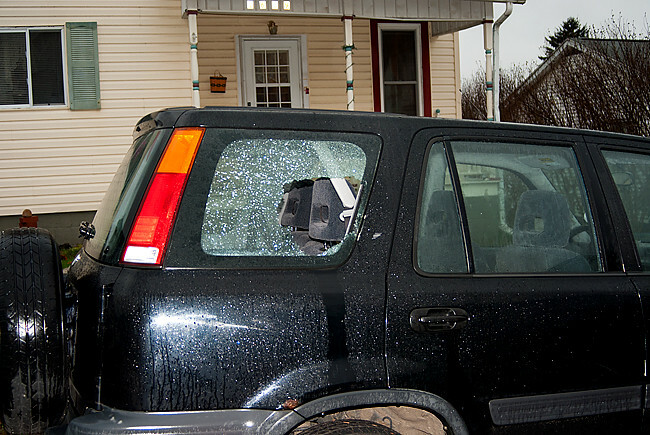 Namely I finally get a window for my car. The 10 inches of snow we have had in the last week has really done a number on the plastic covering the hole where a window is supposed to go. ~~ We got our tree and decorated it yesterday. Pictures maybe tomorrow. Depending on whether or not I cough up my left lung. 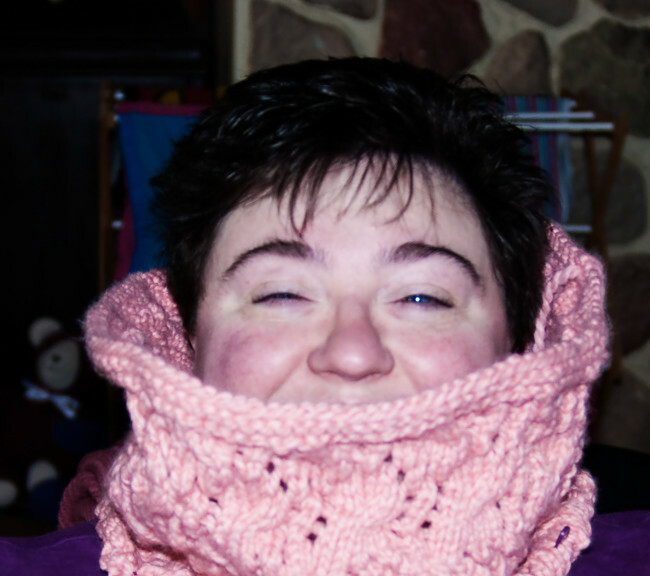 ~~ I am finished with my cowl but it has been in the mid 50’s-60’s this past week. Walking around in shirt sleeves isn’t cowl wearing weather. ~~ The girl and I will be doing our Christmas baking tomorrow. I can’t wait. Baking with my kiddos is always fun. ~~ I desperately need to get stocking stuffers for the people of the house. I need ideas Internets. Ideas!!! ~~ And snow! 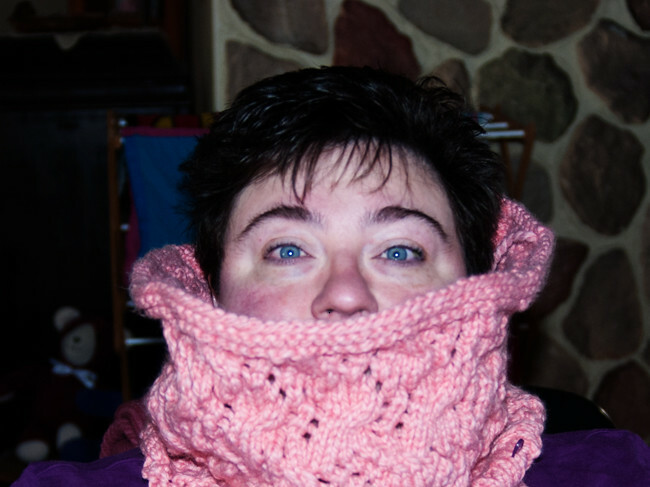 I want to wear my cowl for goodness sake!!! I have never been one to photograph well. When I laugh my eyes squint. 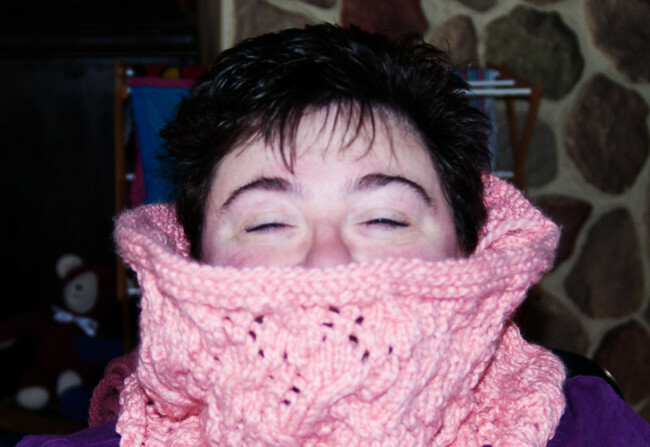 Mom, your eyes are closed…siiiiiigh…. When I try to overcompensate and be serious, I look like a convict. So I try not to laugh, but the girl is killing me. Only one eye, come on mom. That’s better, lets get one more. You can’t see my eyes rolling, but they were. Today is my twitter friends Nailed it or Failed it. As you can see, mine isn’t completed. 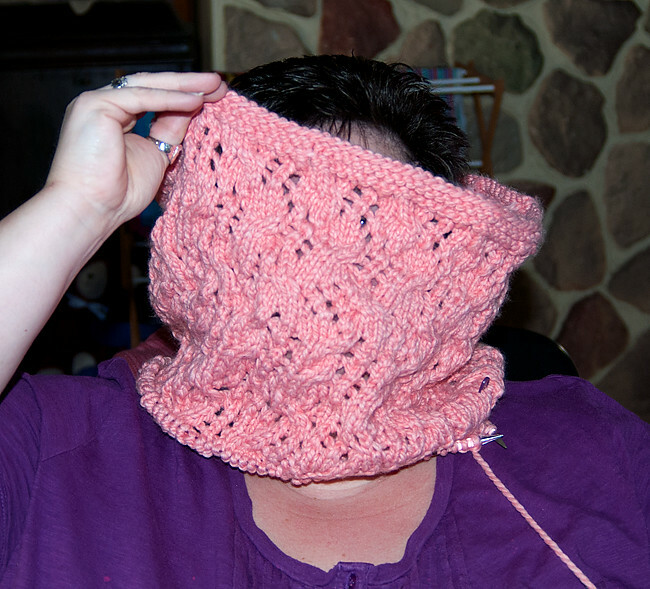 I have about 12 more rows to go, and I would have been finished if it weren’t for the fact that the girl needed to go to the doctor yesterday, then the doctor looked at me and said something to the effect of….you sound just as bad as she does, let me see your throat. And then there was alllllll the waiting at Stuffmart for the prescriptions to be filled. By that time I was done. for. the. day. And I would have been finished with it weeks ago if I hadn’t ripped it all out half way through because the original one I made was booooooring! So I asked my friend Google if she could help me out. Google is always ready to help. She lead me here, and I picked the Head in the Clouds Cowl…it is at the bottom left. Go check out what my twits are doing for their projects.